Not many people enter the Upside Down from Stranger Things voluntarily. It’s a dark place full of shadow monsters, Demogorgons and mind-controlling predators. So, naturally, Universal Studios have made it in to a haunted maze as part of their Halloween Horror Nights 2018 series. The Netflix show has become such a hit over the past few years that Universal Studios are celebrating its success by inviting fans and tourists to brave their new maze. The studio has now shared a first look at their new attraction, where visitors can search for Will Byers, interpret the lights on the wall and avoid the shadow monsters in the Upside Down. For the first time ever, Universal Studios Hollywood, Universal Orlando Resort and Universal Studios Singapore are partnering with Netflix to bring Stranger Things to life. Each park will feature its very own maze that will give guests the chance to brave the Upside Down and encounter iconic scenes, characters and environments in Hawkins from season one of the critically-acclaimed series. 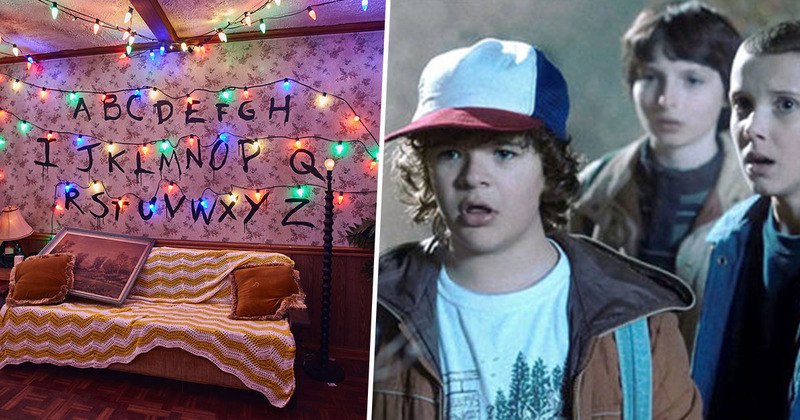 The images from the attraction show just some of the authentic environments guests will be able to explore, from the Byers’ living room adorned with the infamous Christmas lights and alphabet on the wall, to the Hawkins National Laboratory, as well as Will’s makeshift Castle Bryers in the Upside Down. Each year, Halloween Horror Nights recreates worlds we have only seen before on film and television, allowing audiences to experience the thrillers in real life. Previous years have seen the likes of The Walking Dead and American Horror Story be brought to life at the parks, but 2018 is set to be the best yet as the Universal team up with Netflix to build the Upside Down. 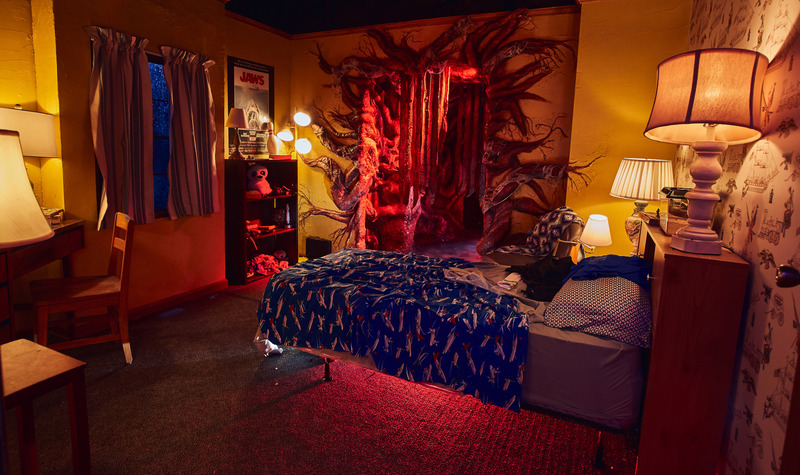 The parallel universe, referred to as The Upside Down that terrorised the small town of Hawkins, Indiana in Netflix’s mega-hit Stranger Things, will bring the chittering, predatory Demogorgon to Halloween Horror Nights to stalk unwitting guests as they encounter iconic scenes, characters and environments from the mesmerising series. The new attractions should hopefully bide fans of the show over until season three is released, which unfortunately may not be for some time yet. Talking to media at the Television Critics Association’s press tour in Beverly Hills earlier this year, Netflix programming executive Cindy Holland confirmed the show won’t be back until summer 2019. Though it might be frustrating wait to find out what happens with Eleven and the gang, it seems there’s plenty to keep fans satisfied for now. Halloween Horror Nights begins September 14 in Hollywood and Orlando, and on September 28 in Singapore. Click here for more information. Seasons one and two of Stranger Things are available to stream on Netflix worldwide now.